Home Streetstar Festival in Stockholm for the 14th consecutive year! 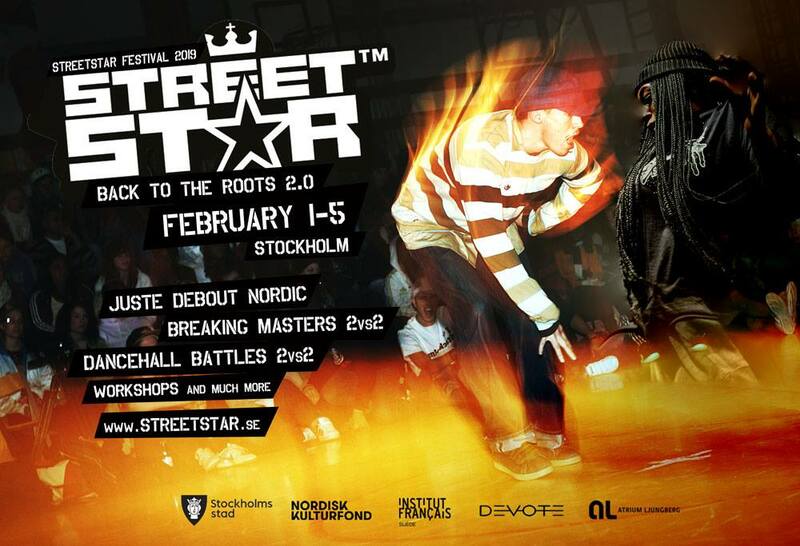 Streetstar Festival in Stockholm for the 14th consecutive year! Kickin Streetstar Festival in Stockholm for the 14th consecutive year! We are very excited to present again the International streetdance competition JUSTE DEBOUT NORDIC back to Stockholm and to invite all the best nordic dancers in Hip Hop, Popping, Locking and House to battle 2vs2. Streetstar Festival is a celebration for urban culture and we are happy to have had some of the finest dancers, djs and mcs to perform on stage at since 2006. Our mission is to create new plattforms and meetings with all different dance cultures united on one dance floor with BREAKING MASTERS and DANCEHALL BATTLES culture. This year we are working really hard and want to share the finest dance experience with you all- Welcome to dance! – BACK TO THE ROOTS 2.0! It is important for us to declare that Streetstar is based on the principles of equality and accessibility for all and that our goal is to create a safe dance scene free from prejudice where everyone is welcome and everyone feels safe regardless of gender, race, religion, sexual orientation, age, or disabilities. There is no room for anything but respect and equality at our events or in our organization. · Streetstar has zero tolerance of sexual harassment. · Streetstar rejects and condemns all forms of harassment and everyone who may act offensive to other individuals. · Streetstar stands behind the principle of everyone’s equal right in society. Please read more in Streetstars’ values reflected in our Code of Conduct and Whistleblower Policy (see link below) or contact us directly. Previous articleKlubb: Premiär Klubb Riddim & Beats 2019!